Development of tight natural gas and oil fields in the United States has surged in the last decade and is poised for tremendous future growth based upon the drive toward energy independence and new technology to recover natural gas and oil from shale deposits. These activities coincide with mounting public and regulatory agency concerns over produced water management in natural gas and oil fields. Based on their lightweight and compact design, LM-HT® Produced Water Concentrators can be trailer mounted for mobility. Modular stationary units can be supplied at up to 3,300 bbl/day capacity and ganged for additional capacity. This rugged and reliable evaporative technology employs direct heat transfer and operates continuously without concern for frequent off-line time to clean scale buildup. Light and heavy brines (250,000 ppm and higher total solids) are converted to solids that can be managed in properly permitted landfills. 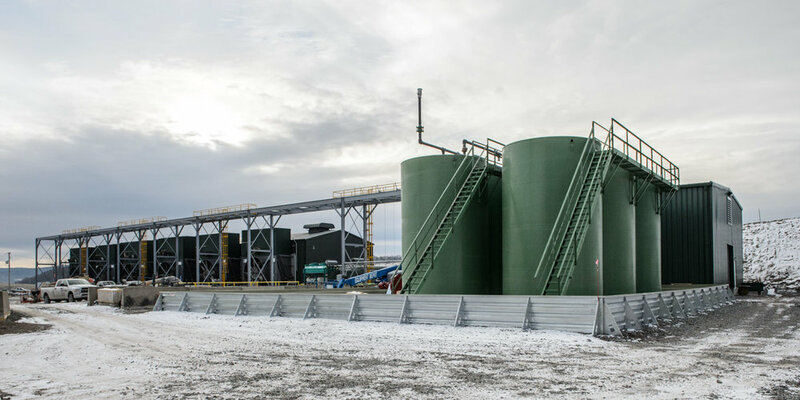 Bottom line performance includes zero liquid discharge, which combined with Heartland’s water recovery systems significantly reduce transportation costs on both sides of the fresh water/wastewater equation. Mild operating temperature (typically 160-180° F.) and mild vacuum (typically no stronger vacuum level than -20″ water column) mitigate corrosive effects, a major factor in ensuring that the rugged and reliable units should endure more than 20-years of productive service. These features, combined with Heartland’s Flex-Energy™ technology, set LM-HT® Concentrators apart from all competition.